Play a card from your hand, place your chip on a corresponding character on the board… When you have 4 in a row, it’s a SEQUENCE and you win! Use a UNICORN card to place your chip anywhere. Remove your opponent’s chip with a DRAGON card. 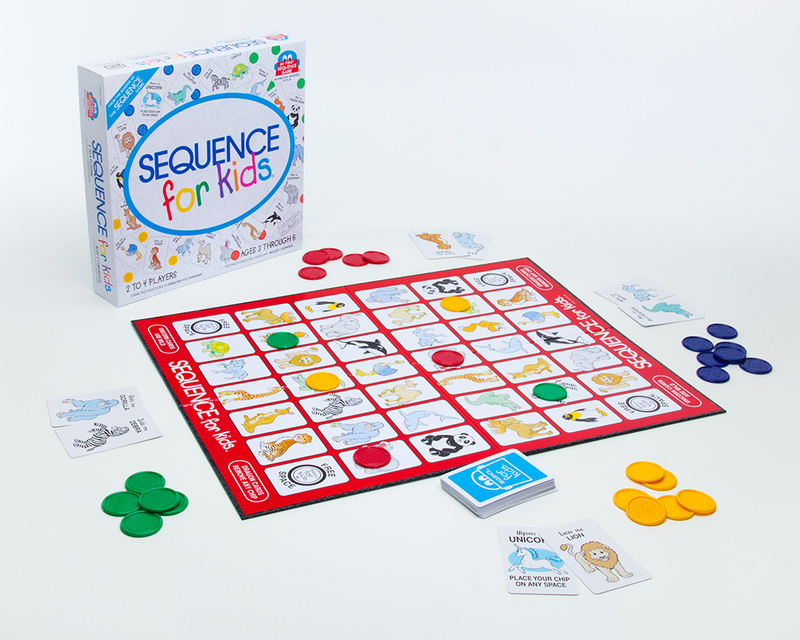 Have fun with you friends playing SEQUENCE®FOR KIDS™!